As termite activity is very difﬁcult to detect, our termite inspection technicians in Melbourne are equipped with the most effective and advanced termite detection technology on the market today: the Temitrac T3I, which is a moisture meter, a remote thermal sensor and sounding radar. We inspect both the inside and outside of your home and take the time to explain and educate you about termites and their risks. Our termite inspection services come with a comprehensive report and complies with Australian Standards 3660.2-2010. We also offer advice on protecting your home before it’s too late. It’s far cheaper to protect your home before any damage has been done. Have you noticed soft areas in your ﬂoor boards, skirting etc.? Are there winged insects coming out of you wall or door frames? Have you experienced light switch or power point failures? This is a typical termite lead or mud tube found going up a stump we found at a property in Ringwood East. 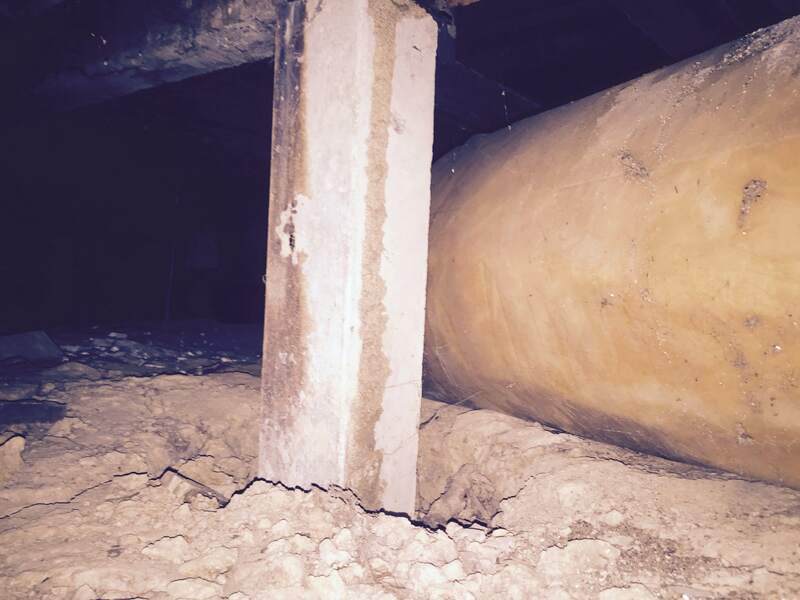 Once the termites have built these mud tubes they then proceed to do as much damage as they like to your property. At Right Pest Control we are well aware of the fact that termite infestations are very hard to decipher, without visual signs of exterior damage it can be extremely difficult to detect them. It requires a whole lot of precision and also modern day technology that comes with a professional termite inspection service. Let us come and check your property out to see if termites have moved in. There are certain signs which let you know that your house needs a termite inspection, some of these include things like when you start noticing soft areas in your floors or skirting, winged insects flying around your walls and window frames or uncommon light switch failures. If you observe any of these signs you can be pretty sure that you need to get a termite inspection. Our termite inspection services are provided by our skilled and qualified technicians throughout Melbourne. They have all the right kind of equipment to make the process highly effective and beneficial for you. We offer services that are thorough and comprehensive, even the most stubborn areas are checked for any potential termite damage. Our team makes it a point to check the exteriors as well as the interiors of your property. The termite inspection report is provided to the client and if the report states that the house is infested with termites, our team will provide you with counter measure and options to combat these invaders. So if your house is due for a termite inspection, give the experts at Right Pest Control a call on 0478 308 361 for more information.